Missing out on the deals at San Diego Comic Con? 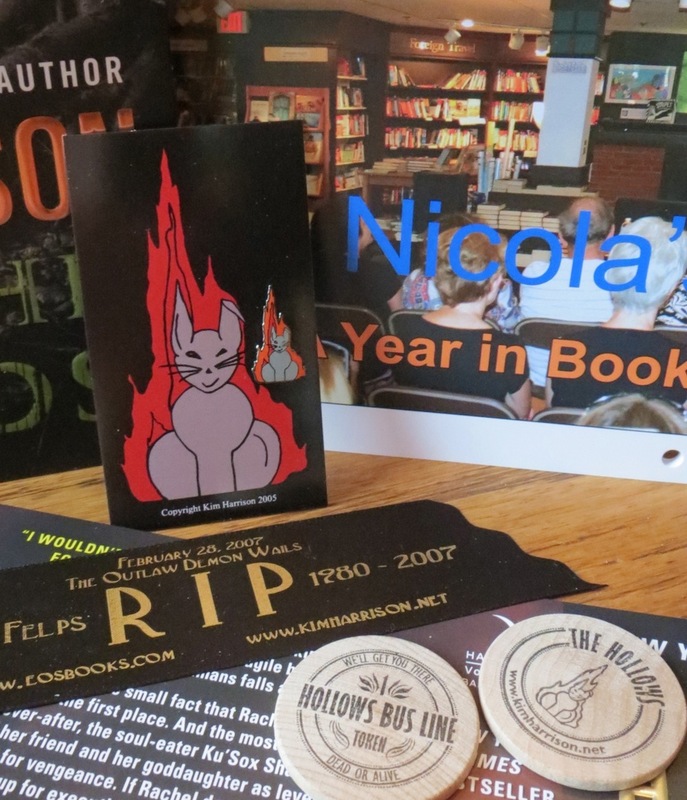 So to help ease the pain of missing out on the swag and freebies, I’ve got a special discount on most of my back list titles that I want to share with you. Wanting to round out your collection? Here you go. 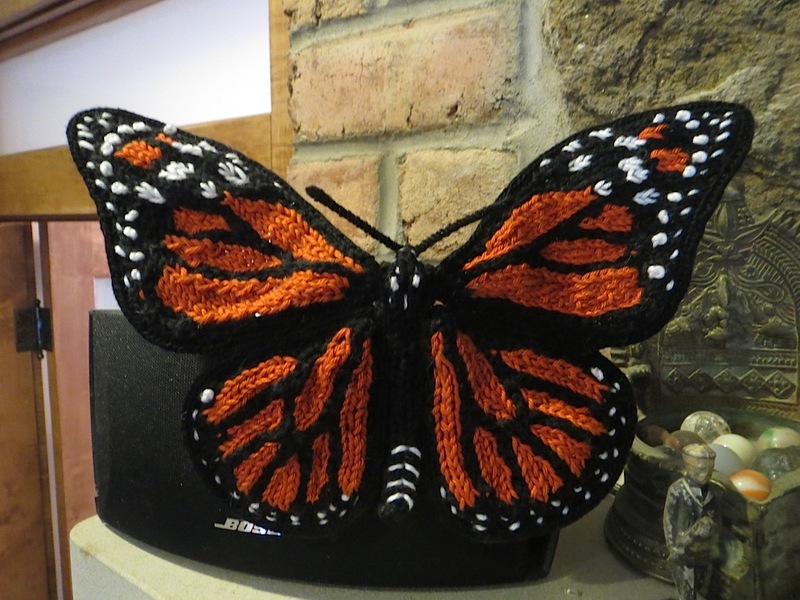 Want to make your library portable? Here you go. Got a friend you’ve been trying to read the Hollows so you can share the love? Here you go. Contest is closed. Give me an hour to pick the winners and I’ll post them in a new post. 🙂 Thanks for playing along with me, guys! You make it fun! The days until the publication of The Undead Pool are down to less than a month, and if you’ve missed it, I’ve got chapters 1-3 and chapter 4 up and available for your pre-reading pleasure. The read-along is going strong over at Goodreads as we finish up A Perfect Blood and move on to EVER AFTER, and the associated e-book sales have been a great success. EVER AFTER won’t be going on sale since it just came out, but when I checked this morning, Pale Demon is still up there for the special price. I don’t know how long they will stay up for that price, so move fast if you want them. 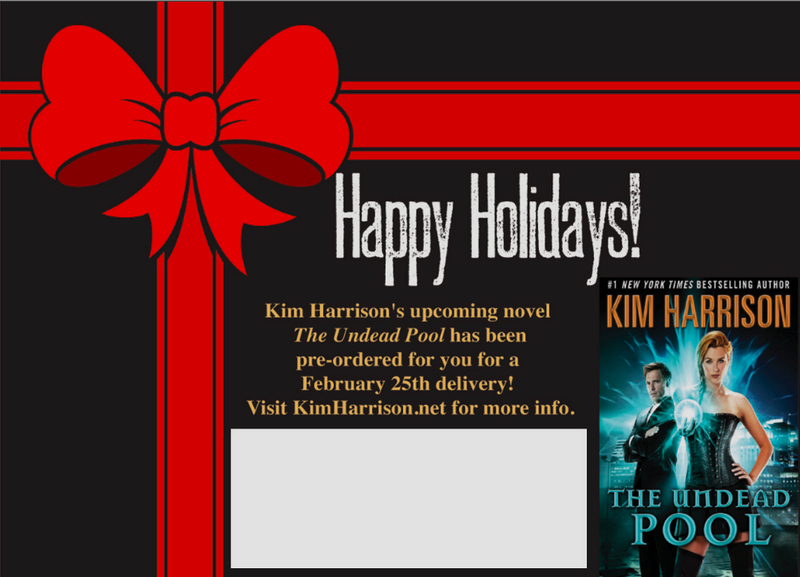 If you want a signed first edition copy of THE UNDEAD POOL, and I’m not coming near you for the tour, we have options! B&N appears to have run out their signed stock, but you can still get them at Nicola’s, and if you ask in the note-to-seller, I can sign them personally to you. To order a signed copy from Nicola’s, just follow the link. International is okay! 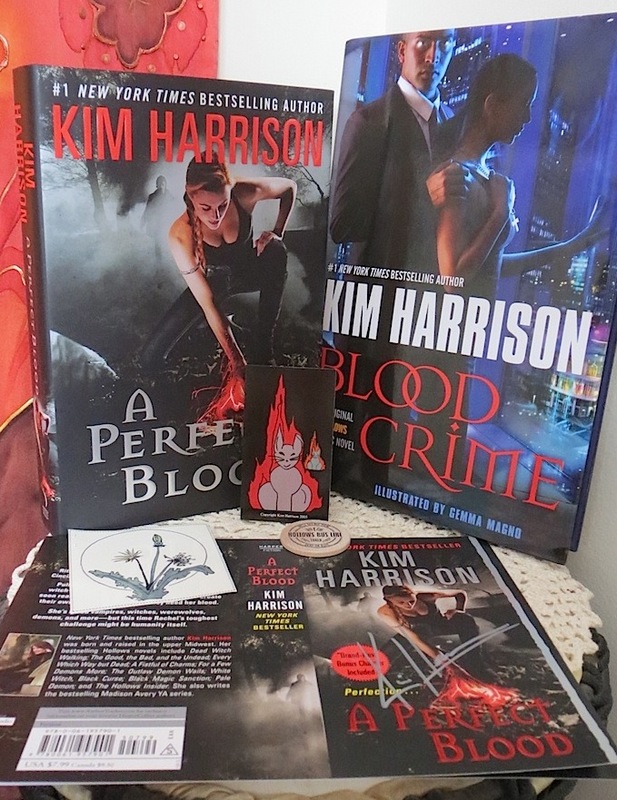 Today, I’m giving away seven prize packs, each having a hard cover, signed copy of A Perfect Blood, and a copy of Blood Crime, the second and final graphic Hollows novel from Ivy’s POV that shows Rachel and Ivy working together at the I.S. 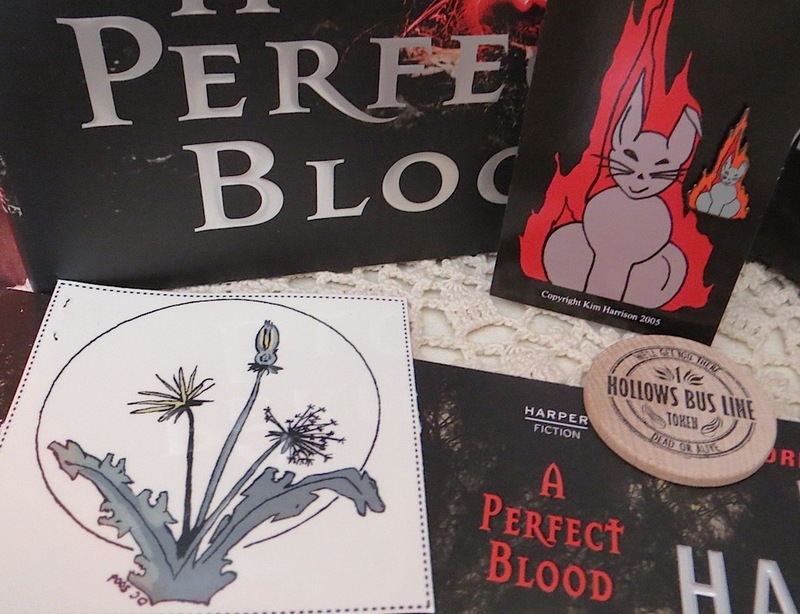 There’s also a signed cover flat from A Perfect Blood, a bunny pin, bus token, and Rachel’s pack tattoo, which was the freebie that year. 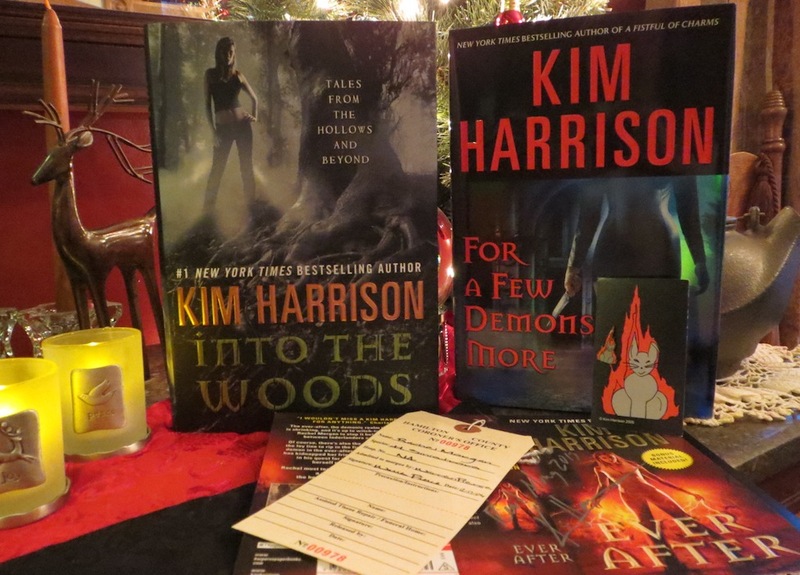 To enter the contest for the prize pack, all you have to do is drop down to the comment box at the end of the page here and tell me if you think Winona was what the demons looked like, or if she’s more of a hybrid. (If you’ve not read the book, then tell me what you think of the cover.) Your post is your entry into the random drawing, so please comment only once–on your honor! Whee! Contest closed! Give me an hour, and I’ll have a new post with the winners listed, so check your email before noon to see if you’re one of the lucky five! We’re almost a month from THE UNDEAD POOL’s publication, (Want a signed copy?) and we’re cruising up fast to the end in the read-along. 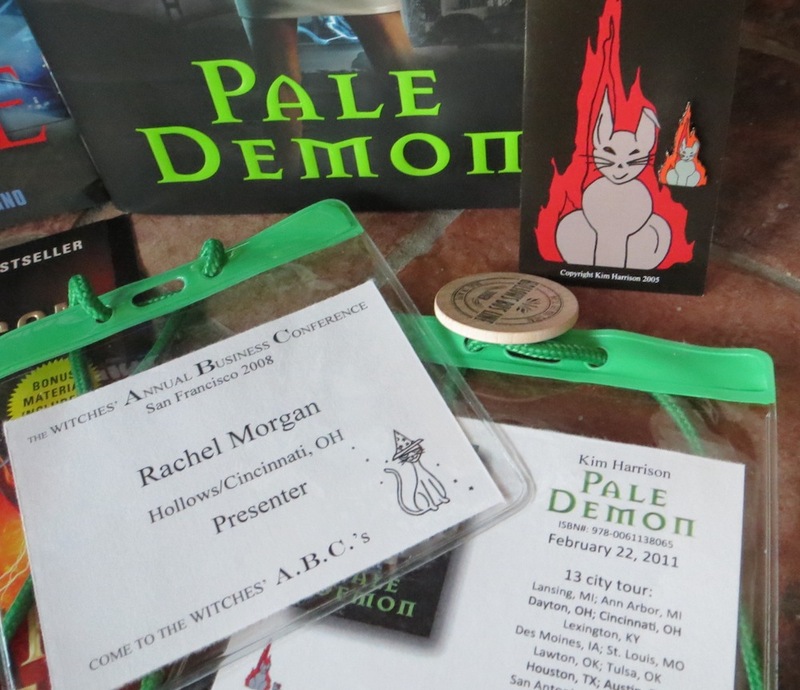 (Still going on at Goodreads) Today marks the end of Black Magic Sanction in the read-along, and the beginning of one of my favorites, Pale Demon. 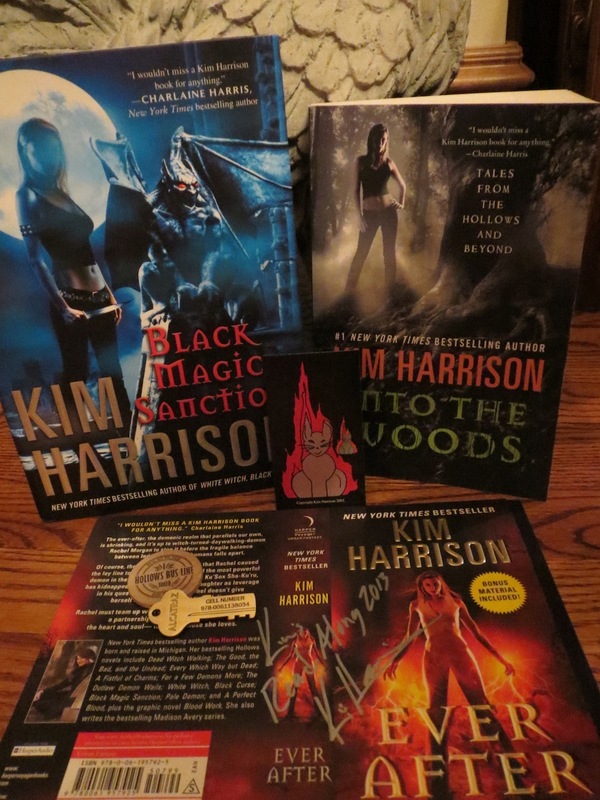 Black Magic Sanction is still on sale today as part of Harper’s “Steals and Deals” campaign. Pale Demon should be joining it today or tomorrow, so if you’re rounding out your e-library, this is a great way to do it. But I’m giving away stuff! 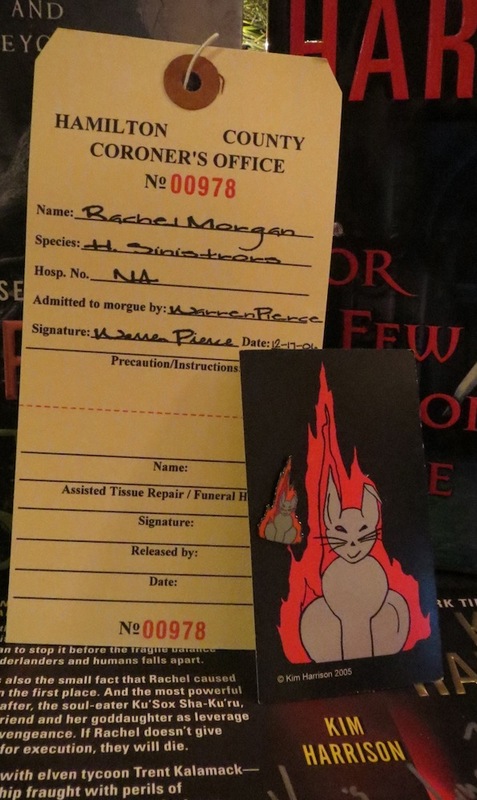 To enter the contest for the prize pack, all you have to do is drop down to the comment box at the end of the page here and tell me if you think Trent really expected Rachel to run Jonathan down, or did he invite her knowing she wouldn’t, and he’d get a midnight ride alone with her? (If you’ve not read the book, then tell me what you think of the cover.) 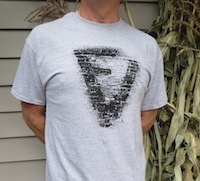 Your post is your entry into the random drawing, so please comment only once–on your honor! 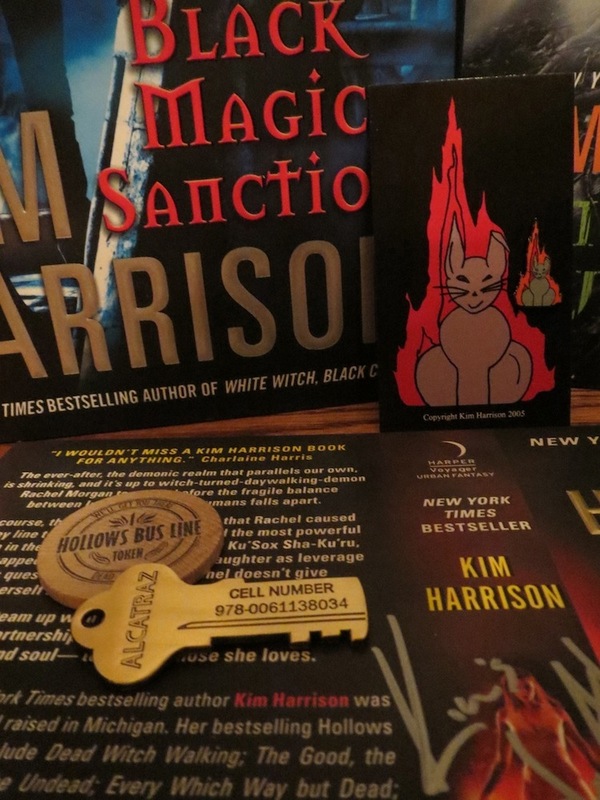 Prize pack contains a signed cover flat for Ever After, a hard cover copy of Black Magic Sanction, a copy of Into the Woods, a bunny pin, bus token, and a Alcatraz key which was the freebie that year. The Rachel/Trent short is finally available for mass consumption! But you know me. I’m not going to give it to you all at once. Part one is available right now, part two should pop up tomorrow at Wattpad. 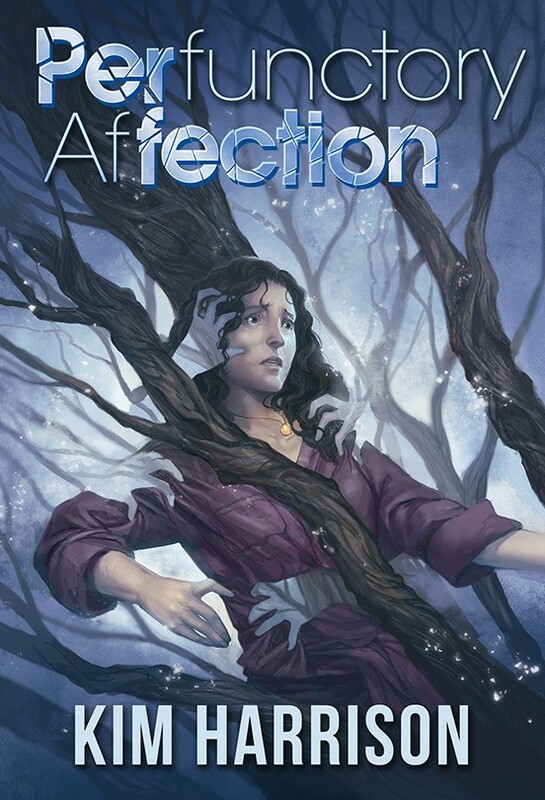 I’m new to Wattpad, but it looks fabulous if you are trying to get your work out there and commented on. Everyone seems very professional. Click image to read . . .
P.P.S. 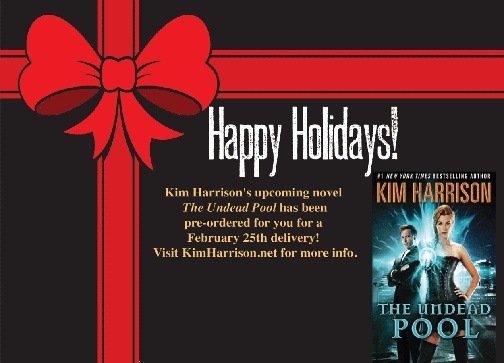 If you’ve not seen it, The Undead Pool has gone up for pre-order in Audible! Contest closed! Hang on. I’ll have the winners in about an hour and repost them. Thanks everyone who played along with me! Snow! Cold! Looks like a snow-in and some solid curl-up-with-a-book day! Me, I’ll be spending a blessedly quiet day in my office with a front-row seat to the white stuff. 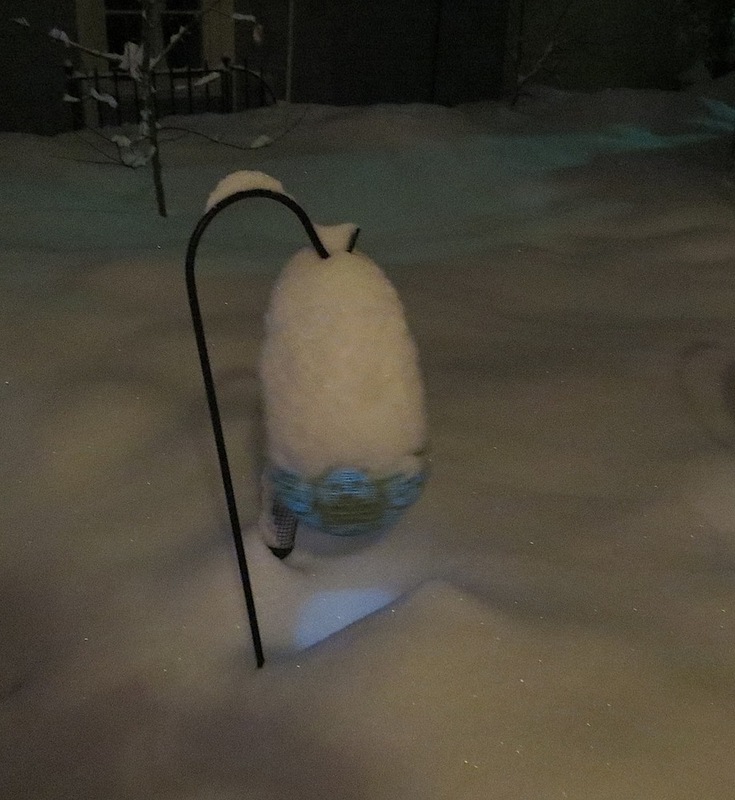 We’ve at least a foot, and we’re running out of places to pile it. You can still get the e-book of White Witch, Black Curse for the 1.99 special price [ links to multiple devices ] but the next book Black Magic Sanction has popped up as well. Oh! And for all of you who got a new reading device, believe it or not, Dead Witch Walking has popped up for the reduced price as well thanks to Nook featuring it in their START A NEW SERIES promotion. (Yay!) Best part? There are apps that let you read both Nook and Kindle books on just about anything, so if you’re trying to get someone hooked on the Hollows, this is a nice way to do it. 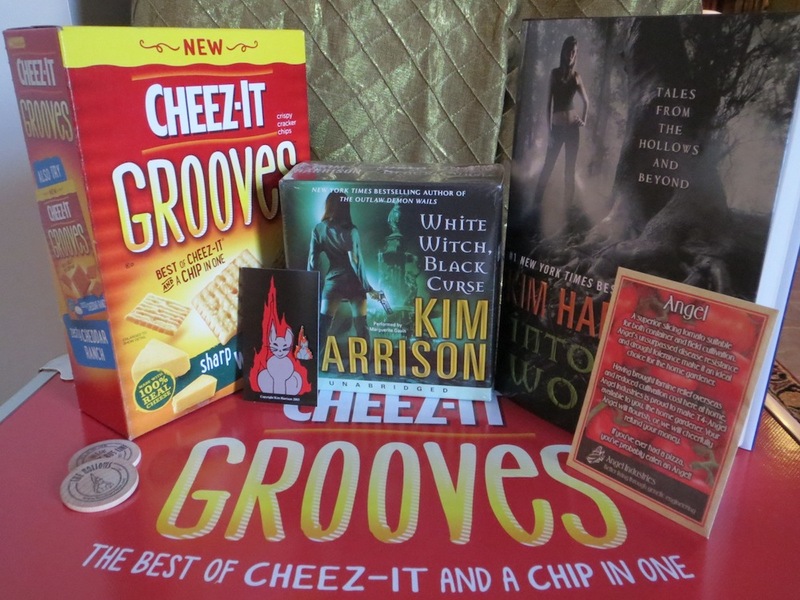 To enter the contest for the prize pack, drop down to the comment box at the end of the page here and tell me if you think Kisten is well and truly gone, or if he will show up in the final book coming after THE UNDEAD POOL. (If you’ve not read the book, then tell me what you think of the cover.) Your post is your entry into the random drawing, so please comment only once, even if you make a mistake–on your honor! I will contact the winners Tuesday afternoon using the email address they used to comment with, so please check your in-box. 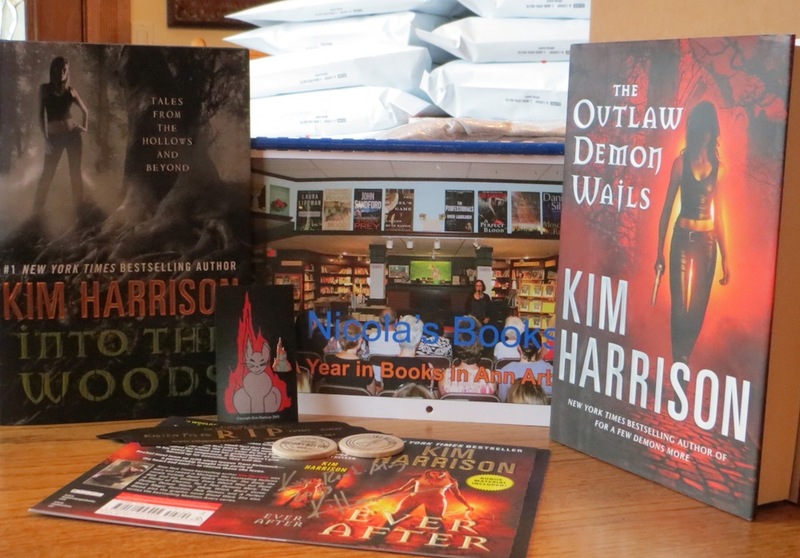 If you don’t respond to me by email by Friday, noon, EST, I’m giving the prize pack to the runner up, also chosen by the random number generator. That’s it! Have fun! Oh, and if you’ve got some weather pictures? I’ve opened up my FB for posting photos today so you can share. Here’s mine: I’m guessing a foot? Maybe more? Contest is closed. Give me an hour to pick the winners of the packs, and I’ll let you know who won in a new post. Thank you everyone who played along! To enter the contest for the prize pack, drop down to the comment box at the end of the page here and tell me if you think Marshal was looking for a girlfriend when he came knocking on Rachel’s door, or if he truly thought he was just satisfying his curiosity. (If you’ve not read the book, then tell me what you think of the cover.) Your post is your entry into the random drawing, so please comment only once, even if you make a mistake–on your honor!